Not the kind of sound we generally hear these days. Thank you, dear Ray for this series of precious gifts. This just came up to me and it’s a special day which makes my day, too. I’m sure it’s the song for US who cannot help appreciate this gathering here. How hard it was/is, isn’t it?!!! May this SWEETNESS & HAPPINESS coming to all the precious ones !!! Hopefully you will get over to England before long and we can meet up face to face. Thank you, dear Ray……..so moved that you take it so seriously, just as I do. I’m not saying it as civilities, but will try fulfilling it !!! 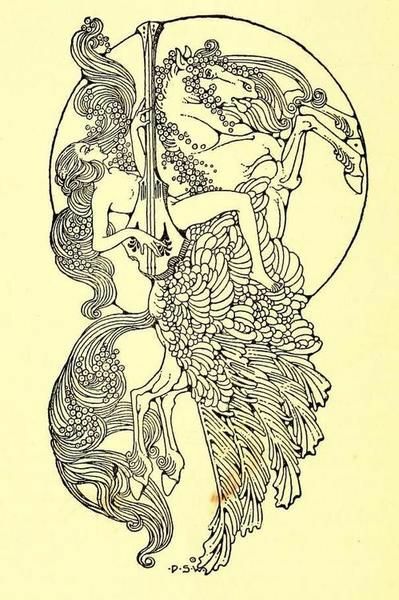 “Rainbow gold: poems old and new selected for boys and girls,” (1922) Illustrations by Dugald Stewart Walker.